1. Launch the app and choose the offer that you want to edit from the dashboard. 2. Click the Actions drop-down menu and choose Edit. 3. Scroll down to the Optional Settings section and check the box that says "Only show offer for logged in customer". 4. Enter the tags for the customers that you want to allow to see the offer. Press comma after each tag to separate them. 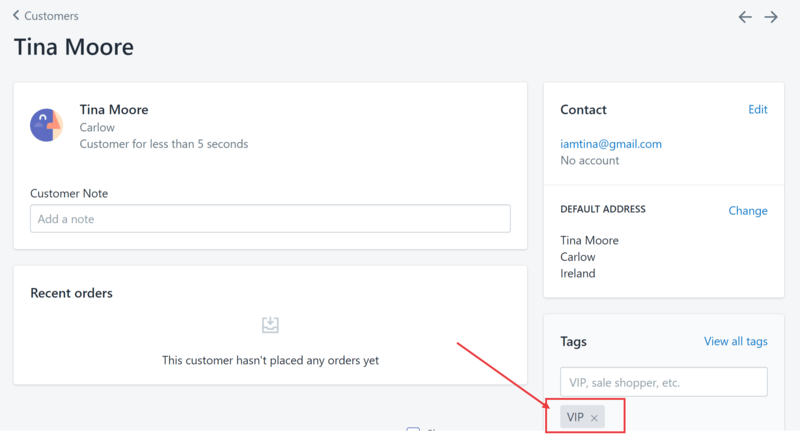 The offer will now be visible only to customers who are tagged as VIP or Members.